The reality is, sometimes hope is small. But perhaps hope, like faith, needn't be big to be fruitful. Even a small amount of hope contains life. Baby-sized, maybe, but it is still breathing, still growing, still holding onto the Vine. 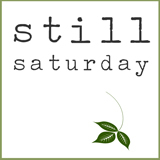 Linking with Sandra for Still Saturday, Deidra for Sunday, and Laura for Playdates with God, and Michelle for Hear It on Sunday. Hope like a mustard seed, you mean? I can buy that. As long as there is hope there is a small flame to fan that can grow and become a fire. Love you, Jen. Praying for you today. Right in step with my theme for the past few weeks! Thanks, girl! Have been doing a Precept study on 1 Peter. Just heard this quote by Wayne Barber: Our hope is not in obedience but in grace. Yes, we fix our eyes on God and His grace. Jen, I love the thought of small seeds of hope.. seems those are the kind that have spurred me on too many times to count. Nothing BIG to cling to, just the belief in a Savior who can do BIG things with SMALL offerings. I'm a loaves and fishes kind of girl :) Have a great weekend, dear friend! So grateful for the reminder to stay tethered to the Vine. I needed that this evening. Thank you, Jen! Baby-sized hope clinging to the Vine...what could be a better image of childlike faith? 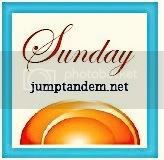 Sharing this "Still Saturday" with you through the community at Sandy's place. Yes, even a small amount of faith and hope is still faith and hope...thank you for that reminder dear friend. Yes, I love this thought. These are words encouragement and a picture of hope when we feel as tiny as the emerging bud, as tiny as the undeveloped fruit, as tiny as the littlest bit of potential. Thanks for the reminder! 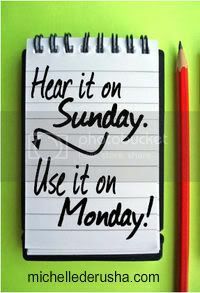 As well as sharing your encouragement today!! You picture makes me very excited for our garden. Always such hope found where things grow straight up from the small things of seeds and dirt. Proof that anything is possible with God. Quieted by this, Jen - thank you. Yes, He's definitely my Rock, my salvation, my fortress. I think of that so often. One way I remind myself: I am a rock addict. Have so many in my yard from so many places in our country and 4 other countries and they all are special to me. WELL, while visiting Susie [the manyeth time] I ended up with piles of rocks in my trunk from a portion of her property here in northern MN. And what will I do as I place them around my house when I reach home on Saturday? I will rejoice in my Lord for His faithfulness in reminding me of the tough and rough fortresses that will keep the enemy beneath those hard elements.